The last time RVA Mag checked in with The Trongone Band, they were just getting ready to release their first official album, Keys To The House, back in June via Harmonized Records. Now the rock and roll/Americana boys are back with fresh visuals for “Blind,” a song taken from that album. As usual, the group is bringing the soulful, no-frills Southern rock with this track, and they filmed it right here in their city. Surrounded by the murals adorned on the James River Power Plant walls at 12th and Byrd Streets, the Trongone boys bring you a feel-good tune to get down to. Richmond muralist Hamilton Glass’s mural, depicting a woman with the words “James is That You I Smell” wrapped around her, can be seen throughout, along with the rest of the art painted during 2012 RVA Street Art Festival. The Trongone Band is currently on a Fall/Winter tour. You can catch them in Roanoke Nov. 25 at Martins Downtown. In the meantime, if you haven’t already, catch up with their debut album Keys to the House below. Take some good ol’ fashioned rock and roll and mix it with a little country/Americana and you have RVA’s The Trongone Band. The group, which began as a family affair years ago, has been entertaining crowds ever since with their feel-good, no frills, energetic shows and next month, the band will drop their debut album. On a recent afternoon, I sat at Mekong with Andrew Trongone (guitar/vocals) and his brother Johnny (drums/vocals) to hear about their beginnings, new album and forthcoming tour. All this after I was done secretly admiring/envying their luxurious hair of course. Actually, the whole band’s hair could be its own poetic post entirely. But I digress. Keys To The House will be the first official release for the boys set to drop June 30 via Harmonized Records. The Trongone Band has released a little teaser to the nine-track album with the song “Anne Marie,” a solid rock tune with a little country twang to it about the girl who got away. “It’s the most countryish song on the album,” Johnny said. And like any good song there’s a little truth behind the lyrics, for Andrew at least. But fans need not worry it’s not all country on Keys To The House, the brothers said they put a lot of work into the sound of the album. The Trongone Band started working on the album back in October and sought out the help of Adrian Olsen and Alex Spalding of Montrose Studios in Richmond to record the album. Some of the songs they’ve played at their live shows, but there’s also some new tracks for avid fans and newcowers alike to look forward to. The lineup has changed quite a bit over the years for the band, which was started by the brothers’ father John Sr. The jam-heavy trio played around town regularly before switching up to a guitar-driven six-piece about four years ago by adding keyboardist Ben “Wolfe” White, Mark Ingraham on trumpet and Matt Zavitz on saxophone. “We started playing Cary St. Café every Thursday from 2012 to 2014 so it got us going in Richmond,” Andrew said. About two years ago, they brought on Todd Herrington, replacing their father on bass, and solidifying their lineup as a four-piece. “We were starting to tour a lot and he’s almost 60, it was just a mutual thing,” he said. 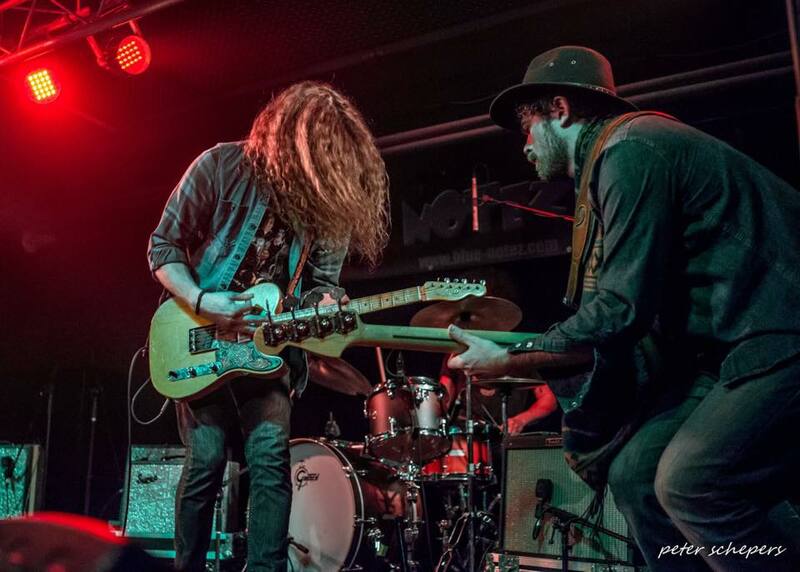 To spread the word on their debut release, The Trongone Band has already hit the road this month and will head up and down the east coast and they plan to continue to do that for a bit. The album release party for Keys to The House is Friday June 23 at The Broadberry, but you can catch the band at Rooster Walk Music & Arts Festival this Saturday and Sunday in Martinsville, Va. I don’t know about any of y’all, but a good old-fashioned Battle Of The Bands really brings back memories for me. This is the first installment of the new year for RVA Magazine’s weekly live music preview column, and we’re beginning the year with a changing of the guard. For over three years now, our live music coverage has been handled by John Lewis Morgan, head honcho at One Way Richmond. Unfortunately, due to other responsibilities related to day jobs and running his own site, John has had to step down from his position covering live music here at RVA Magazine. We of course wish him the best, and hope to see him continue to shake things up with his site’s unique contribution to the local scene.